The Riches Pat and Anna style: Candy Land!!! Amelia turned three last week and we celebrated hard!! I thought about having a Candyland birthday party back in January and have been planning since then! Yep, I'm one of those crazy moms who plans crazy parties. It won't be like this every year, but sometimes birthdays really do need to be over the top. Millie's party turned out fantastic. It was for the kids and especially for Millie. I really just wanted them to have fun and I'm pretty sure they did. I was also VERY nervous because it was my first kids only party. Fortunately my awesome mom and sister-in-law Kathryn stayed to help. And my other sister-in-law Maryanne came a little early to help also. Pat told me I was being very ambitious with all the activities so I was even more nervous. But, the kids did awesome. They listened and wanted to do everything. When all the kids arrived I told them we were about to take a trip through candyland and that at each station they had a chance to earn a prize. We started out at the Gingerbread Tree. The kids got to decorate gingerbread men notebooks with stickers. This was the activity that required the most help from the adults. Kind of tricky because my mom and I kind of like order so it's hard for us to watch a three year old stick stickers just anywhere. 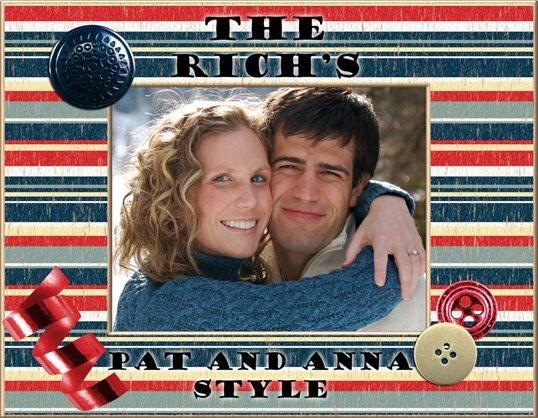 Luckily, Pat and Kathryn could help and encourage them to decorate to their hearts desire! Once they finished their notebooks, they headed through Gumdrop Pass, and got a gumdrop bucket with their name on it to collect more treats. Then, we moved around the house to Peanut Acres. I forgot to get a picture here. The kids gathered "peanuts" from around the lawn and put them in a big mixing bowl for Gramma Nut. I let each of them take a turn stirring the bowl with a wooden spoon (who knoew this would be so exciting for them!!). Then we put the peanuts in the oven, while they baked they had to sings a "Nutty' song, and out came Nutter Butters! From Snowflake Lake they had to find the Chocolate Swamp to "fish for chocolate." Fishing booths are always a big hit with kids it seems like. And then off to Lollipop Woods. At Lollipop Woods, they each got to punch their hand through the lollipop wall to get a treat. I was very happy with this station but of course, the kids promptly pulled out all the lollipops trees! Oh well, they were having fun. Emma was so darn cute here. She's so adventurous and she was so excited for her turn but when she came up, she turned so timid and I said punch your hand through. She replied, "You do it." After Lollipop woods, they walked into the Peppermint Forest where they had three chances to get a ring onto a peppermint stick for a prize. This station was a big hit too. They had lots of fun tossing the rings. The last stop before the candy castle was Lord Licorice's Castle. This is the station that we could have skipped. I thought we'd do the limbo under a red pool noodle but that activity was a bit too hard for them. No one seemed to get it except my cute nephew Jaden who not only knew to go under the noodle but actually did it in real limbo form. Must be all those Disney Cruises he gets to go on! The Candy Castle was a pinata that each child got to pull a string. Only one string opened the trapped door to let the candy out. And just for funsies, we had a "Candy Walk" like a cake walk but this is Candyland! And everyone got their picture with either Princess Lolly or King Candy! We had snacks, cake and ice cream, opened presents and everyone had a great time! The kids found the little table under our swing set and made themselves comfortable! Happy Birthday to my sweet little three year old! You are a hand-full but we love you lots!